Recorded in Blacktrench, County Kildare. Engineered, mixed and mastered by Brian Masterson. 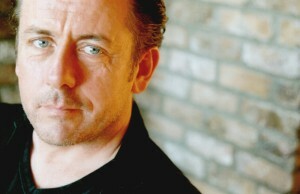 Produced by Luka Bloom and Brian Masterson. 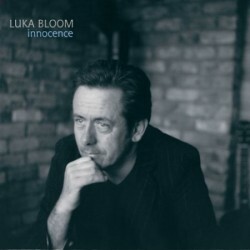 Luka Bloom still manages to keep the best of company too. Kenneth Edge's soprano saxophone and clarinet conjure a mood reminiscent of Van Morrison's Astral Weeks. Ray Fean lends the subtlest of percussion; Joe Csibi adds double bass and Pat Collins' fiddle roams free and wide. Mohamed Bouhanna's derbouka adds the final essential ingredient that defines Bloom's delight in Ireland's growing multiculturalism. And enmeshed in all the songs, as well as in the two instrumental interludes of Innocence, 'Peace On Earth' and 'Larry Redican's Bow' is the spirit of a musician who's long let go of the cocky defiance of youth, who bears the scars and celebrations of daily life with a comfort born of the same regrets, delights and minor triumphs that we all share. 'No Matter Where You Go, There You Are' sums it up sweetly, on the back of Bloom's trademark uncompromising guitar lines: "No matter where you go, there are you / So don't let go of what you know to be true." innocence and wonder at the world."